Water shortages frequently do not get as much media attention as energy shortages, but the threat of water shortages is just as real. Water scarcity problems can lead to numerous other problems worldwide, so it is best to think of water scarcity as a collection of related issues as opposed to a single issue. Organizations like the World Water Council (WWC) are trying to get people in power to pay more attention to water scarcity issues. The WCC acknowledges that altering the trends in water consumption requires a broader awareness of the underlying problems. According to the United States Environmental Protection Agency (EPA), about 70 percent of the Earth's crust is covered with water, and under one percent of the water on Earth is usable by humans. The global supply of water is relatively small and vulnerable to environmental changes and shifts in the global demand for water. To make matters worse, the global water supply is not evenly distributed across all areas, so some places are more vulnerable to water stresses than others. The effects of different varieties of water pollution can artificially lower the amount of water usable by humans. What Are Fiberactive Organics Products? Not having access to clean water contributes to shortage issues and subsequent problems. The United Nations Educational, Scientific, and Cultural Organization (UNESCO) says that an estimated 783 million individuals worldwide live without clean water. Over 130 million individuals living in Latin America do not have accessible clean drinking water, according to the North American Congress on Latin America. At least 3,900 children worldwide die as a result of water borne illnesses on a daily basis, according to the WWC. 2.5 billion people lack basic sanitation, according to the FWW, which puts them at risk for a whole host of preventable diseases. Hundreds of millions of people in sub-Saharan Africa, particularly women, have to travel for miles on foot in order to get any water at all, according to The Water Project (WP). The simple time investment involved with getting water according to this schedule can have negative effects on individuals and their communities, resulting in illness and valuable time lost, as the WP indicates. 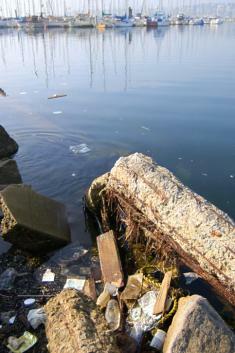 Water shortages affect at least two thirds of urban areas in China, according to the FWW. At least 400 million people in Africa live in areas suffering from water scarcity, according to the FWW. The per capita water consumption of a person in sub-Saharan Africa is 10-20 liters daily, while it's 350 liters daily for people living in Japan and North America and 200 liters daily for people living in Europe, according to the WWC. The FWW estimates that 18 U.S. states are suffering from droughts in 2014. According to the WP, the water reserves of the American reservoir Lake Mead could be diminished by the year 2021, meaning 22 million people will need new sources of water. The Weather.com indicates that California has been experiencing a sustained multi-year drought, and that the driest year that California ever experienced was 2013. 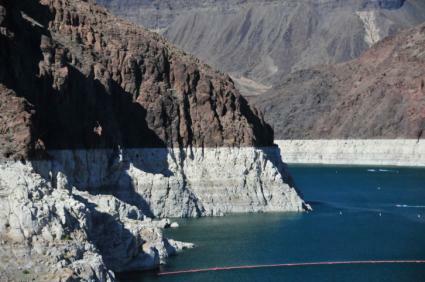 The WP states that people are already illegally tapping the Colorado River's water resources due to the water scarcity in those areas, and that the Colorado River's water resources are in decline. The European Environment Agency (EEA) estimates that at least nine European nations may be water-stressed, including Belgium, Italy, Germany, Malta, Cyprus, Spain, the United Kingdom, Bulgaria, and FYR Macedonia. If present trends continue, almost 50 percent of the global population will have to cope with an unstable water supply by 2030, according to the FWW. UNESCO estimates that by 2050, the amount of water used in agriculture worldwide will go up by approximately 19 percent. By the 2070s, it's possible that 44 million people in central and southern Europe will be affected by water stress, compared to 28 million now, according to UNESCO. As people worldwide become more affluent, they will consume food that must be produced using larger quantities of water. UNESCO projects that people worldwide will consume 52 kg of meat per capita by 2030, up from as little as 37 kg per capita in 1999-2001. Producing one kg of beef requires 13,000 L of water, while one kg of wheat requires 1,000 L of water and one kg of rice requires 1,400 L of water, according to the WWC. The switch to a larger consumption of beef will have a tremendous impact on water usage. The WWC indicates that the global population tripled over the course of the last century. By 2050, there may be another 40 or 50 percent increase in global population levels, according to the WWC. All problems with water scarcity could potentially be exacerbated by population growth. Seemingly minor changes in personal habits worldwide will significantly alter water usage trends, since these changes are happening on such a grand scale. The availability of clean water and the availability of water in general both need to be considered. Different parts of the world already have relatively high water consumption patterns, and different parts of the world are already disproportionately affected by water shortages. The full implications of current water shortage trends may be difficult to predict.